Every time you have a kebab, did you know you’re eating a bit of Turkish heritage? Have you ever stopped to think where the recipe comes from? 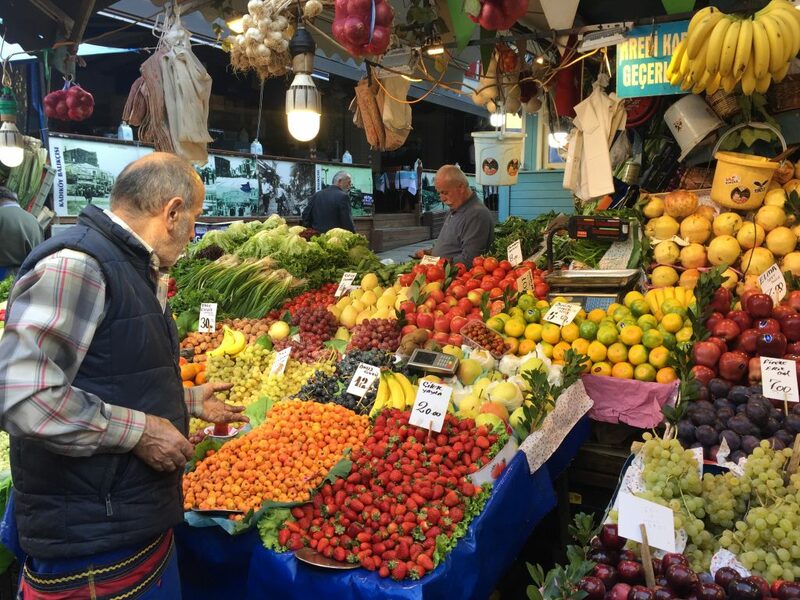 You might think of it as street or hungover comfort food, but you would see it differently if you visited Turkey, where you’d understand what a big role food has in its culture. Lately it seems food has become a hot topic in culture worldwide. Before people would fixate more on objects or places as to what constitutes heritage, but now there’s a big focus on recipes and how people ate in the past – a movement that many refer to as ‘going back to the roots’. With a heavy emphasis on the use of local products and foraging to foster sustainability, in Denmark it started with Noma chef Rene Redzepi. “The whole idea of foraging, which has now become trendy worldwide, is something that has been done in Turkey forever,” explained Chef Mehmet Gurs (below), the half-Turkish, half-Finnish owner of Mikla Restaurant in Istanbul, which serves a fusion of Nordic-Turkish modern cuisine. 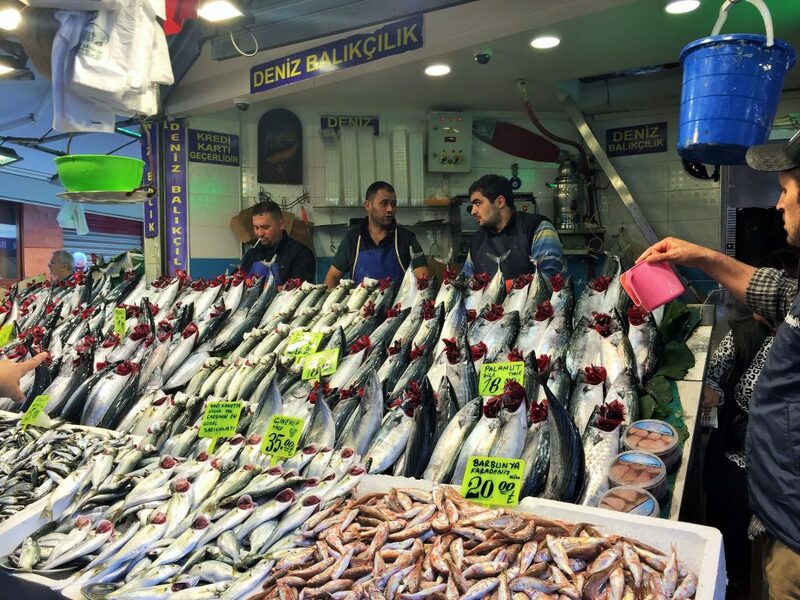 There is a strong movement to protect the legacy of Anatolian cuisine – the Asian side of Turkey, which comprises most of the country – and Gurs is one of its promoters, using suppliers from the region and learning how it used to be done. 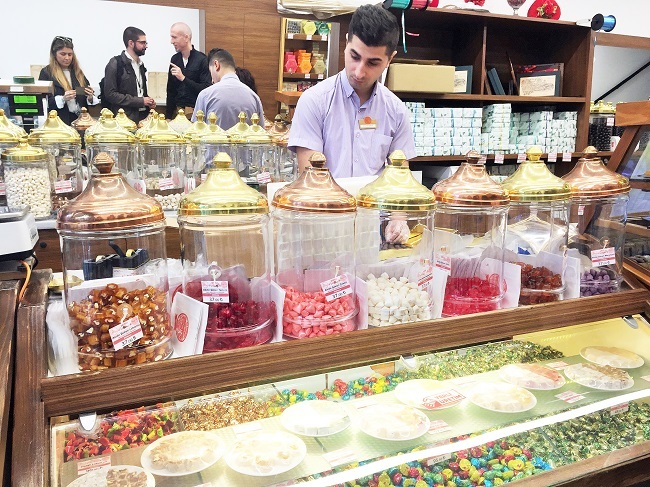 Aylin Oney Tan, a Turkish culinary researcher, concurs that it is all about Anatolia. “Everyone is talking about the roots of Anatolia: the seeds and grains of our past,” she contended. In mid-October the Delegation of the European Union to Turkey presented the first episode of ‘Seeds’, a documentary series tracing how seeds made their way from Anatolia to Europe. It traced the historic journey of wheat and barley seeds – crops that are often referred to as the founders of civilization. The richness of a culture and identity of a country has a lot to do with the history of its food, asserted Christian Berger, the EU ambassador to Turkey, in his speech at a mid-October gala in Istanbul. “We need to know where we come from to teach our children. This cultural heritage is not only in monuments, it is food, music and arts,” he said. Although, Scandinavia and Turkey are completely different in several aspects, there are also many similarities, contends Gurs – not least their natural approach to food. “For example, in the countryside in Sweden because of the harsh climate they do a lot themselves,” he said. Migrants bring customs and traditions wherever they go, and food is a big part of who they are. Denmark is no different, as its modern diet has been heavily influenced by different food trends brought by immigrants. According to Danmarks Statistik, the Turks are the third largest immigrant group in Denmark, while 17 percent of all immigrant descendants in Denmark have Turkish origins, making it the largest group of descendants. It’s no surprise, as they moved here in large numbers half a century ago – a rate unprecedented in the history of Danish immigration. They were given a special dispensation to settle in the 1960s due to the high labour demand, and with them they brought their food traditions and slowly started to open different shops. The biggest concentration of Turkish food venues is in the district of Nørrebro, and the most common dish is the kebab, which has adapted to European tastes and proved to be incredibly popular. It’s fast, cheap and tasty, and often found on pizzas as well! The kebab is certainly a good example of how food fosters integration and participation in diverse cultural communities. There is no better place to get a feel of where these influences come than the magical city of Istanbul, which overlooks the Marmara Sea, the Golden Horn and the Bosporus Strait – the natural waterway that unites the Asian side of Istanbul with the European side. “In Turkey everything is about food. You make friends over food. They invite you if they want to meet you: to take a coffee or tea at home,” explained Wilco van Herpen, a Dutch chef working in Turkey. Food contributes both tangible and intangible elements to cultural values and heritage through ingredients: through smells that are particularly characteristic of a place. But it also carries with it moments, anecdotes and stories. 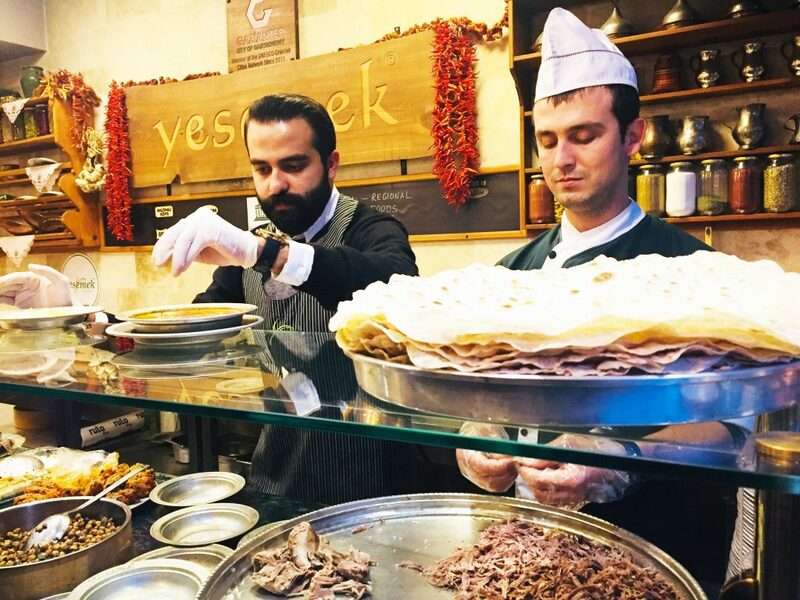 The Turkish kebab predates the proclamation of the Turkish republic about 250 years ago, according to Musa Dagdeviren, a passionate chef working in the district of Kadikoy on the Asian side of Istanbul. More than a chef, he is a food anthropologist and a pioneer of reviving Anatolian cuisine. At his restaurant Ciya Kebab he serves kebab how it is supposed to be done – visit it and you must try the one stuffed with pistachios. When Dagdeviren opened his first venue, he wanted everyone to eat kebab while listening to classical music. He had this idea of transforming a street food into something that could be eaten whilst discussing culture. Years later, after doing intensive research around Turkey, he opened a second restaurant, Ciya Sofrasi, where he revived old recipes from the different regions, thus keeping alive traditions that celebrate the cultural diversity that unites Turkish people. Among the dishes worth highlighting are: dizme manti (dumplings with spiced meat), oruk (small meat croquettes), ferdali kebabi, and the yayla yoghurt soup – each of which has its very own story. Another standout was keskek, a celebratory dish that is traditionally served at weddings, which Tan contends is the “the most democratic dish ever”. “Nobody can take the best part of the meat because you can’t see it in there,” she explained. The Asitane Restaurant has orchestrated a similar revival with imperial Ottoman cuisine, resurrecting recipes that date back to the 15th century. “What we practise here is the Ottoman Palace royal cuisine. 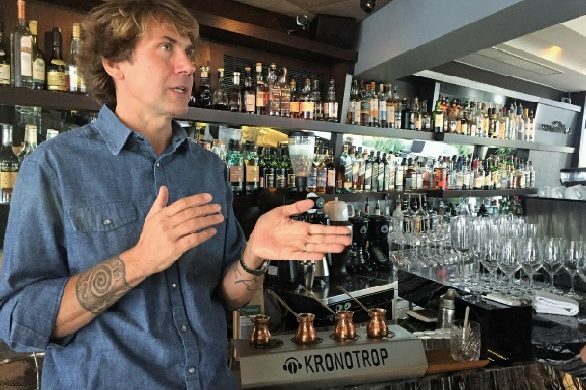 So the dishes are made with ingredients of a much higher quality – with complicated cooking techniques defined by multiple steps,” explained the restaurant’s founder, Batur Durmay. Durmay explained how the restaurant, which is named after one of the nicknames for Istanbul, researched the palace archives to look for the recipes and revive this heritage from the Ottoman era. They discovered over 380 dishes, and all the profits generated from the restaurant are invested into research and training young chefs and waiters. A warm almond soup from 1539 on the menu was served at Edirne Palace at the circumcision feast of two sons of Suleiman the Magnificent. Grated nutmeg and pomegranate seeds provided a sweet twist, and the delicious soup tasted like marzipan. For the main course, a melon was stuffed with minced meat, rice, almonds and currants – a reminder of how everything and anything could be stuffed in Ottoman cuisine. And for dessert, it was Helatiye, a contemporary recipe that traces its roots back hundreds of years, along with Honey Halva – again from the 15th century – and ‘Antep’ pistachios. No culinary visit to Turkey is complete without going to Gaziantep, a hotpot of traditional Turkish food. Name a well-known Turkish chef (Dagdeviren, for example) and they either grew up or studied there. The quality of the cuisine starts in the soil of a city where the entire community is part of the food process: from the butcher to the baker to the spice shop owners. So it is no surprise to learn that Gaziantep was one of eight cities in the world designated a City of Gastronomy by UNESCO in 2015. But there is so much more besides, as the city is as richly colourful and historic as its delicious dishes. Nestled between the Mediterranean and Mesopotamia, where the first civilizations settled, Gaziantep is known by many as The City of Mosaics due to the many mosaics from the ancient Roman city of Zeugma excavated in the area, which are now displayed at the Zeugma Mosaic Museum. Its biggest attraction is the Gypsy Girl, which curiously resembles the National Geographic photograph of the Afghan Girl, complete with a Mona Lisa stare that follows you around the viewing area. Believed to be a dancer for Dionysus, nobody knows for sure whether it is a she or a he. More importantly than mosaics perhaps is its status as the capital of baklava – in this case its reputation had preceded it with several recommendations to taste the best baklava in the world made from the most virtuous pistachios. 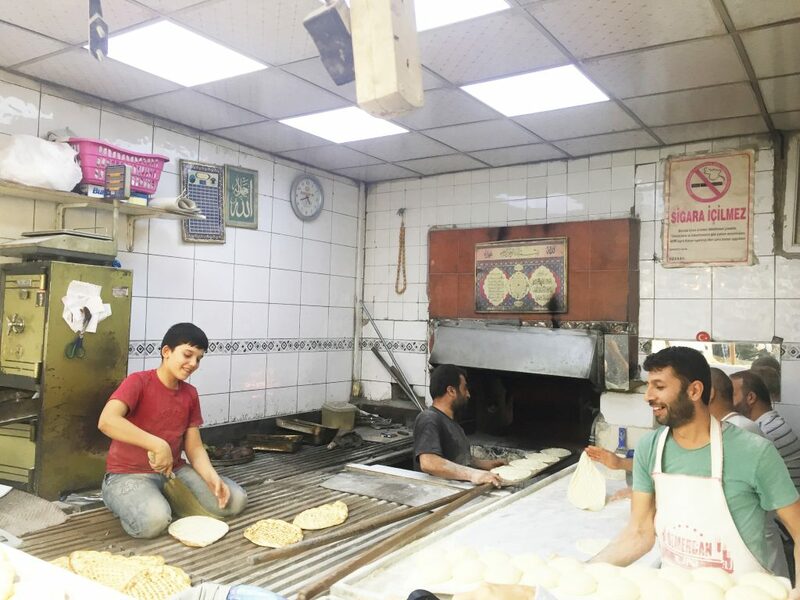 On every Istanbul native’s to do list – including Tan, who edited the book ‘A taste of sun & Fire: Gaziantep cookery’ – the city, which many casually refer to as Antep, is a feast of food and flavours waiting to be experienced, even if it is just 99 km from Aleppo in Syria. Traditionally on Sundays, Turkish families gather together with each one bringing a different dish made at home, and the kahvalti (breakfast) spread at Orkide Pastanesi celebrated this custom, offering plates containing vegetables, dips, olives, spreads, cheeses, jams and a basket of different warm breads (simit, pide). Divine-tasting rose and zucchini compotes were then trumped by a heavenly mix of honey from Hakkari with kaymak (white cheese). The secret of the honey lies in its production in the area of Hakkari in between the mountains where flowers grow from a soil full of rich minerals that allow the bees to produce a memorable honey. And the food kept coming to the table: whether it was the warm savoury pastries such as borek and yufkla; the crunchy and not too sweet, tissue-thin Katmer pastries filled with pistachios and cream, swirled by the chefs in the air, which are traditionally at weddings sent by the groom’s family to the bride’s family the next morning to wish them happiness; or a salty dish revived from the old days in Antep that mixes walnuts, olives, meat and two fried eggs on top – often making use of leftover kebab, adhering to standards described by Chef Dagdeviren that nothing is thrown away. They say the best is always saved for last, and this came with the baklava at Gulluoglu, the oldest such shop in Gaziantep. Founded in 1871, the family-ran business is currently on its sixth generation. As the story goes, this Ottoman kitchen dessert was brought back by one of their ancestors from a pilgrimage to Saudi Arabia, where he saw it sold on the streets. The baklava is made using phyllo pastry made in stone ovens with local ingredients such as pistachio, wheat and butter. It therefore tastes different to any baklava you have ever tried. The owner insists baklava should be eaten with the hand. Turn it upside down and check its shiny base, which means it’s fresh. You inhale the fantastic smell and observe the fine layers of the pastry with the pistachio and then you are ready to dig in. Given its popularity in the region, it’s no coincidence that a pistachio-shaped museum is being constructed to celebrate the history of this precious nut. “Pistachios have as much history as the history of humanity,” said Fatma Şahin, the metropolitan mayor of Gaziantep. In Gaziantep food is at the core of everyday life. Every single dish is a handicraft: the result of toil, effort and time. By the time it reaches the table, it is a celebration. It’s something to consider the next time you eat a kebab or baklava on the streets of Nørrebro! – Yoghurt is a must in Gaziantep dishes. Time to stop asking: Dude, where’s my favourite bar?